Ocado has delivered the major deal it needed in a remarkably short time. The logistics technology company agreed a deal on Thursday (17/5/2018) with the US grocery retailer Kroger to provide the technology to run all of Kroger’s grocery internet retail operations. Although the financial numbers are not available yet, any agreement of this size will transform Ocado as well as have significant implications for the e-retailing market in the US. Kroger may not be quite as large as Walmart, but its sales are still enormous at $122.7bn in 2017. The second largest conventional retailer in the country, the company is a conglomerate of different store brands and formats however its existing internet presence generally uses the Kroger brand. The scale of the agreement even dwarfs Ocado’s own retail operations in the UK. The statement released by the two companies states that “Kroger and Ocado are already working to identify the first three sites in 2018 for development of new, automated warehouse facilities in the US, and will identify up to a total of 20 over the first three years of the agreement”. It is unclear how big these facilities will be, although presumably they will conform to the template pioneered in its fulfilment centres in southern England. The deal with Kroger appears to differ from the sorts of contracts that Ocado has signed with Casino, Sobeys and ICA. Part of Ocado’s remuneration will be in the form of “monthly exclusivity and consultancy fees”, the exact nature of which is unclear. However, as with the other deals, Kroger only retains exclusive access to Ocado’s technology if it hits agreed but undisclosed “market share targets or ordering an agreed number of CFCs per annum”. Another notable aspect of the relationship is the increase in share of the US retailer’s stake in Ocado. On top of its existing 1% share, Kroger will buy £183m worth of equity, equivalent to 5% of the capital of the company. Breaking into the US market is crucial for Ocado. It will deliver the scale that the technology provider needs to expand across the world. 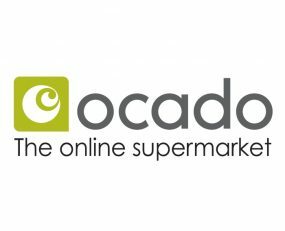 Ocado can now claim to be one of, if not the, leading logistics technology provider in internet retailing. The obvious comparison is with Amazon against which it will compete in the US. However, as far as conventional logistics service providers are concerned, whatever is the outcome of such a competition they will lose as two powerful technology players take the high ground of retail logistics in developed markets.